Beautiful flower Jen, but it's that fab candle sentiment that totally made me smile! Love the simplicity of the first one. And the colors of the rainbow on your second card. Great cards! 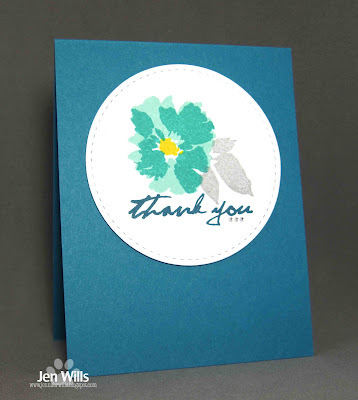 Love the layered flower and the use of grey for the leaves. Unexpected, but it really works! Love the candle and the funny sentiment, too! So glad to see you at Muse this week! Wonderful cards, Jen. Love your rendition of Jenni's card. The blue card stock makes the oval with image pop. 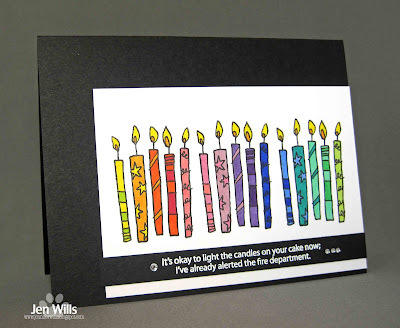 Love the sentiment and colors of the candles on the birthday card ... so fun. Your first card is gorgeous!! Awesome rainbow of flames! I mean, candles on your FMS card. Love it--the colours are set off so well by the black background. What pretty cards! I love all those colourful candles! They are so pretty! Looks great against that black background! Thanks for joining us this week at Freshly Made Sketches! So glad the storm past through quieter! Love both your cards...the floral one is so soft and elegant and I love the whimsical feel of the second one. Beautiful flower card! I love all of the blues!! 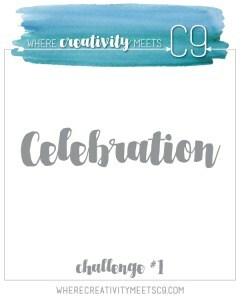 And such a fun sentiment on your candles card---totally made me giggle! Beautoful cards! Glad you shared that fun rainbow of candles at FMS! Gorgeous take on the Muse card for your first; and of course I love the snark of the second. ;) Well done! Your flower cards are beautiful - love the cold combo. 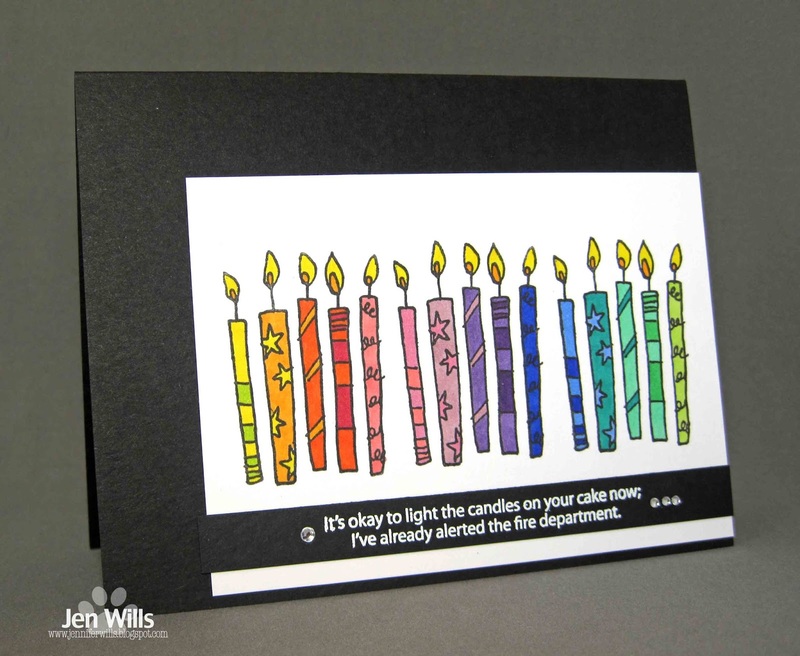 I love how bright and fun the candle card is - the black really makes them pop!